Though it offered a magnificent view, the master bedroom posed a need for privacy. 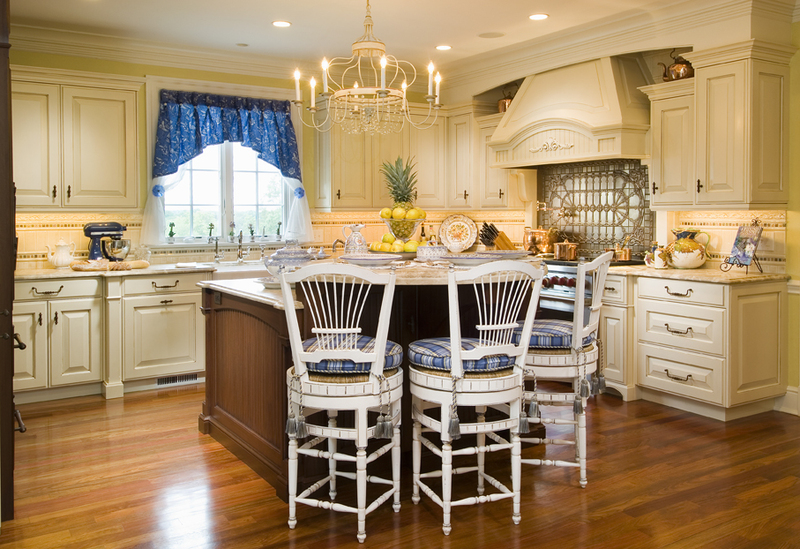 To find a balance between these two elements, we fabricated traversing panels from a sheer gold fabric with a soft blue fleur-de-lys pattern from Pindler & Pindler. 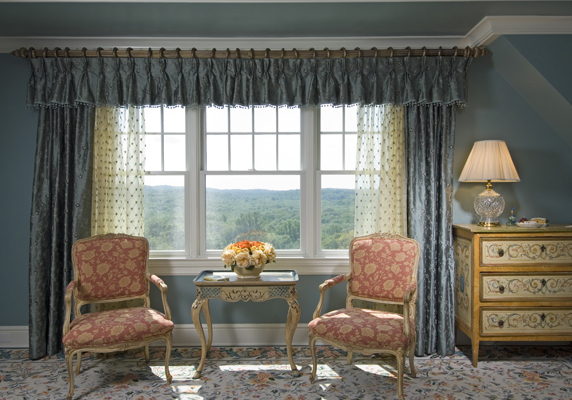 The stationery panels in azure blue silk with the silk ball trim on the valance are from Kravet. All these fine details blend softly into the surroundings and bring an understated elegance and functionality to the room.